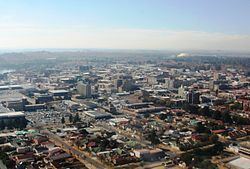 Benoni is a suburb of Ekurhuleni. Benoni is a diverse city, featuring more horse stables per square kilometre than anywhere else in the Southern Hemisphere and over ten schools; in some areas there is a concentration of up to 6000 students within a 5 km radius. Ashton International College was founded here in 1998. Oscar-winning actress Charlize Theron was born in Benoni, while Charlene, Princess of Monaco attended school there. Benoni was also the setting for the MTV-inspired movie Crazy Monkey: Straight Outta Benoni, released internationally in 2005. Benoni is currently represented in the City of Ekurhuleni Metropolitan Municipality by the African National Congress (ANC) in the majority, with the liberal-democratic Democratic Alliance being the official local opposition. The City Hall, built in 1937, is a good example of art deco architecture. Benoni’s inauspicious beginnings date to 1881 when then surveyor-general of the Transvaal Republic Johan Rissik found it difficult to assign title deeds to all unclaimed state property, called "Uitvalgrond", or land that fell out of already claimed properties. He named a piece of land in the area Government Farm Benoni after the Hebrew name (meaning "son of my sorrow"), given by Rachel to her son after she suffered a very difficult birthing. This is according to the biblical Book of Genesis. (Rachel unfortunately died after giving birth to Benoni but his father, Jacob, called him Benjamin "Son-of-my-right-hand".) Rissik's naming was apparently due to the fact that he had difficulties in establishing the exact boundaries of the surrounding and already existing Rietfontein, Modderfontein, Kleinfontein and Brakpan farms and considered the formal demarcation to have been as commensurately sorrowful as that of the birth of Rachel's son and accordingly named the unclaimed land Government Farm Benoni. By early 1887 the gold reef discovered in Johannesburg the previous year had been followed by prospectors to outcrops on the Kleinfontein, Vlakfontein and Modderfontein farms in the Benoni area and to that same piece of "uitvalgrond" that had been named Benoni by Mr. Rissik and which, had in the meantime, been leased to a Mr. E. W. Noyce by the Republican Government in 1885. There was a clause in this lease however that stated that should gold be discovered on the property, Mr. Noyce’s lease would be cancelled; and it was here, ironically, in the North-Eastern corner that gold was discovered early in 1887 after which the Benoni farm was proclaimed to be gold-bearing land, some time later on 9 May 1888. Nevertheless, the intrepid Mr Noyce became one of the Directors of the Benoni Gold-Mining Company which subsequently laid claims on the farm and which was promulgated in September 1887. This was the first registered gold mine in the Benoni area. In September 1887, gold was discovered also discovered on the Modderfontein Farm and the Chimes Mine was established by Cornish men. The mining village became known as "Little Cornwall" for a time. The famous Van Ryn and Modderfontein series mines later established here went on towards some very successful discoveries! Bedford Street naturally, came from the name of his home town. (It was renamed Tom Jones Street after the town councilor with the same name). Howard Avenue was named after his grandfather who lived at Kempston Grange (spelt Kemston Avenue in Benoni) and who had taken the young Farrar on horserides around the historical Bunyan countryside. They rode to Ampthill, a hill with fine views and then on to Elstow (curiously spelt Elston here) and then dismounted at the Swan Hotel for lunch. Russel Street almost certainly came from the family name of the Dukes of Bedford who happily resided at Woburn Abbey. Cranbourne Avenue was named after Lord Cranbourne, the Colonial Secretary of this country at the time and a good friend of Sir George’s. Wooton (spelt Wootton in England), Turvey, Rothsay and Wilstead are all place names from around Bedford. The area between Taylor and Horsefall Streets (origins unknown) he declared a public open market but Market Avenue was renamed Prince's Avenue after the visit of H.R.H. Edward, Prince of Wales in 1925. The original market square is now occupied by the Benoni Plaza complex. 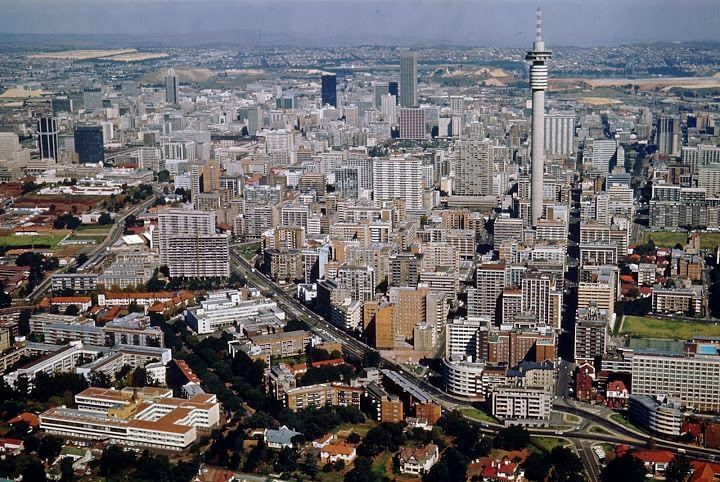 The original Fort Street named after a British fort nearby was renamed Voortrekker Street in 1938 in honour of the Centenary of the Great Trek. Harpur Avenue is named in memory of the founder (Sir William Harper) of his old school, The Bedford Modern which is still in existence today and indeed makes mention of Sir George on its war memorial. It should be mentioned that Farrar had in fact wanted to name the new township Bedford but there already existed a Bedford in the Eastern Cape (ironically named in honour of the Duke of Bedford of his hometown) so he went along with the biblical name of Benoni that had been bequeathed to the Benoni farm, as cited earlier. Some variations as to the reasons for the name Benoni are detailed in the excellent book "Benoni - Son of My Sorrows", p27-28, available in the Benoni Library. "Foxy" Farrar, as he was often called due to his clever business nous, (he was renowned as being one of the hugely wealthy "Randlords" of the time) was an inspirational character and apart from being responsible for the laying out of our city, he also ensured that the religious, schooling, sporting and social aspects of Benoni life were catered for as well as his becoming embroiled in local politics later on. Residents of that time were predominantly British or those from the Jewish population who had suffered anti-Semitism in eastern Europe, lost all their possessions and who had come to start life afresh here. The strike quickly degenerated into open revolt, with armed miners fighting the South African police and army in the streets. The revolt lasted for about a year and the miners were bombed by the newly formed South African Air Force (SAAF) during this time. Some of the SAAF aeroplanes were shot down by groundfire from the miners. During the revolt, Benoni was used as one of the headquarters of the miners and much fighting took place in and around the area. The Benoni Museum details this episode in the town’s history. Due to the string of four lakes; Homestead, Middle, Civic and Kleinfontein, the Rynfield dam and numerous pans, most notably Korsman's, Bullfrog and Sandpan, the city of Benoni is affectionately known by its residents as the City of Lakes. By 1926, the Benoni municipality had assumed a pseudo-heraldic coat of arms, depicting (1) a mine headgear on a golden background, (2) an arm holding a sledgehammer on a red background, (3) a plough on a green background, and (4) the Diskobolos statue on a blue background. A proper coat of arms was granted by the College of Arms in March 1938. It was registered with the Transvaal Provincial Administration in June 1966 and at the Bureau of Heraldry in September 1969. The arms were : Or, a turreted castle of three storeys Sable; on a chief Sable three escallops Argent, all within a bordure Gules charged with four bezants and four heraldic fountains alternately. In layman's terms, the shield displays a three-storeyed black castle on a golden background, below a black horizontal strip bearing three silver scallop shells, all surrounded by a red border bearing four gold coins alternating with four white and blue-striped discs. The crest was an armed holding a sledgehammer in front of agolden rising sun; the supporters were two springboks wearing blue collars studded with golden discs; and the motto was Auspicium melioris aevi. 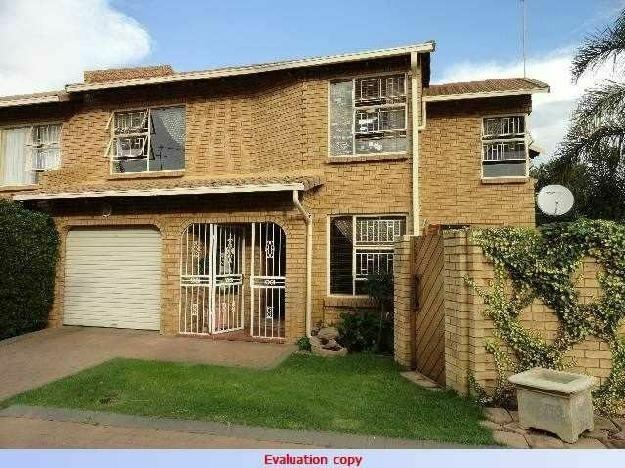 Benoni is also served by the OR Tambo International Airport in Kempton Park and close to the airport. Urzila Carlson, stand-up comedian, living in New Zealand since 2006. Leshav Dilraj, voice artist and radio personality. Geofrey Stewart, Radio Producer and Radio personality. Vic Toweel, undisputed World bantamweight champion and South African boxing champion.